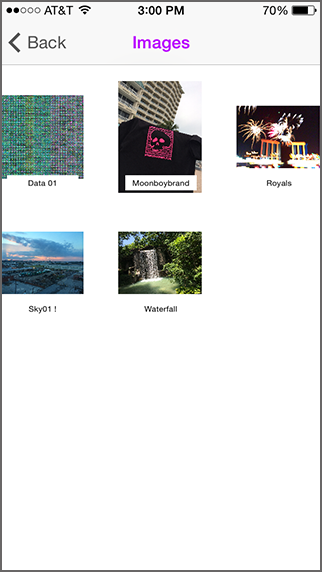 MyData3 is a Core Data app that allows the user to keep images organized in three separate databases. 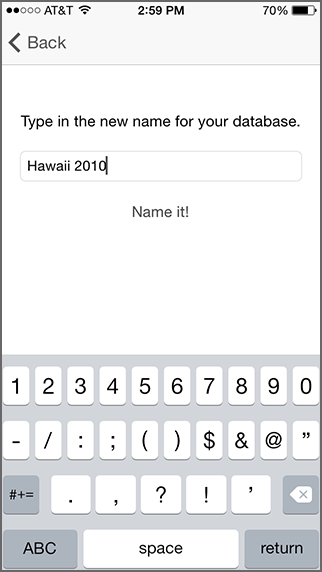 The user can title the databases to their liking, and can edit or change the database title at any time. 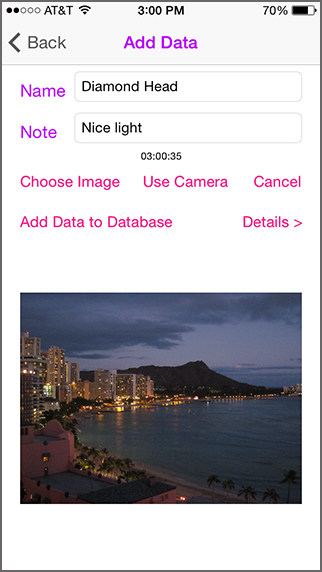 The user can choose images from their Camera Roll, or use the Camera function to take a picture to populate the database. 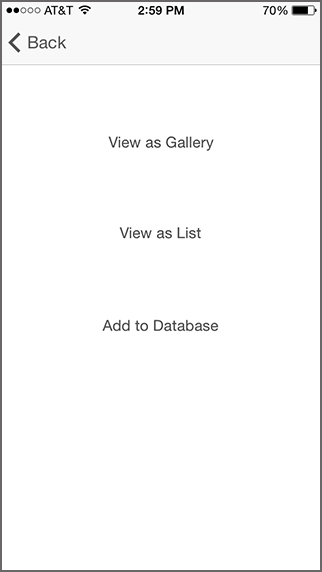 Each database can be viewed as a Gallery, or as a List. 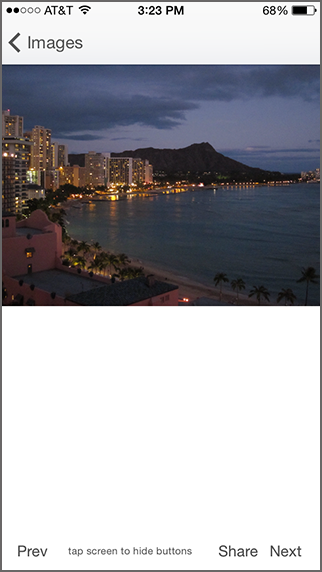 On the Gallery view, the user can tap a button or use a swiping motion to see the next image, or the previous image. A "share" button is also included for Social Media or email. Using the List view, the user can delete the data entry, or edit the image shown, title, and any notes. . 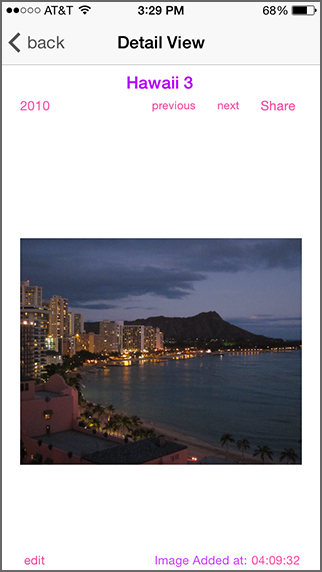 The user has named one of the databases "Hawaii 2010". With the click of the a button, the database will be renamed to reflect the title. The title can be edited or changed again at any time. 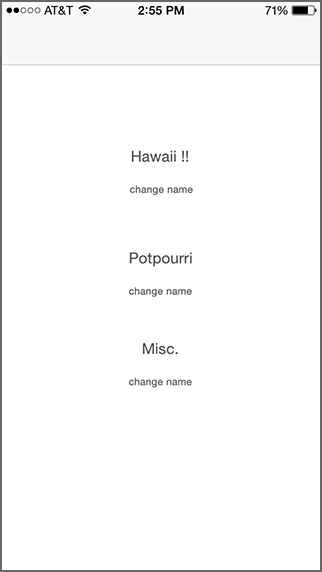 Each database can be viewed as a Gallery, or as a List. 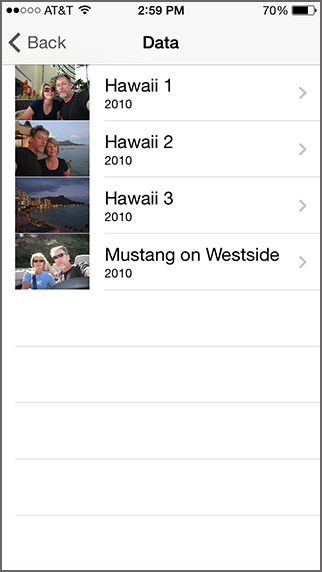 The "Add to Database" option is for adding images with titles and notes to the database. A database being viewed in the Gallery format. Here is the image after clicking on a thumbnail to view. Swipe left or right to see the next or previous image, or use the buttons below. The "share" button lets you link to Social Media or email. Here is the image after clicking on a thumbnail from the "List" view. Navigate to the next or previous image using the buttons. The "share" button lets you link to Social Media or email. Notice the "edit" button in the lower corner. This feature lets you change the title, note, or image for this entry. The "Add to Database" screen. Choose your image, or take a picture; then Title it and add a note. 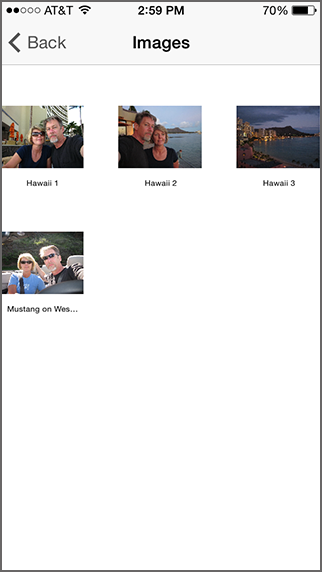 After clicking the "Add to Database" button, you can add another, or click the "Details" button to view your images. Another one of the three databases being viewed as a Gallery.